Coloured sand can make striking and beautiful pictures, but it's not easy to use without spills and mess, and you waste more than you have on the paper. 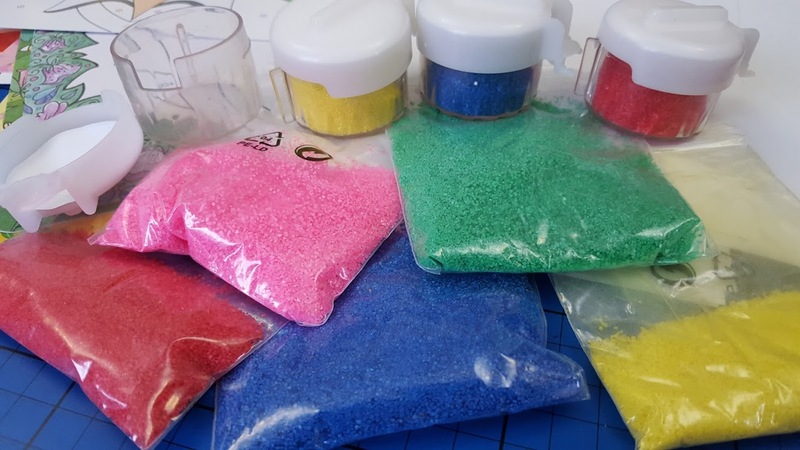 Revell have created the MyArts Sand Shaker to make all of that a thing of the past, and keep your beautiful coloured sands separate while you work. 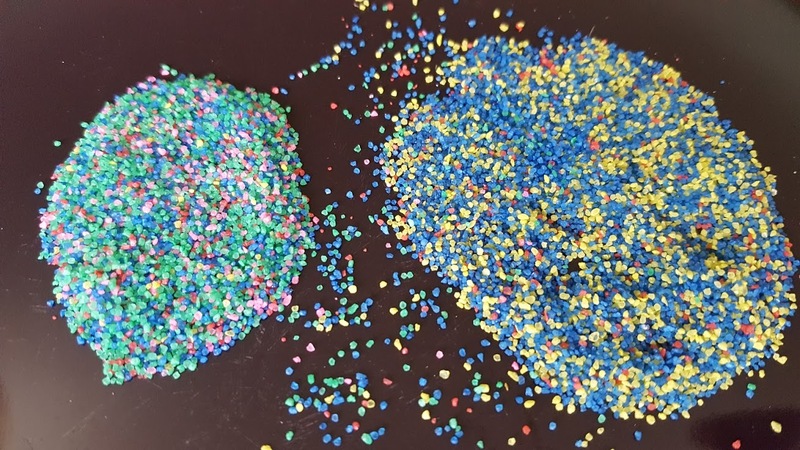 I'm not precious about mess, but I still get annoyed when I find craft materials all over my living room and lots of tidying is needed. 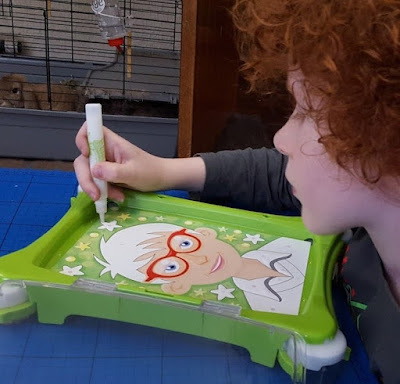 Because the MyArts Sand Shaker contains all of the sand it's incredibly easy for even younger children to control and create something wonderful. 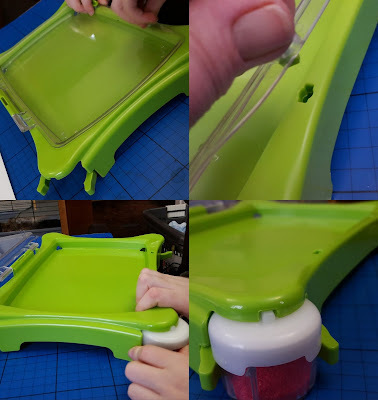 Everything you need is in the box, including a double ended glue spreader which works really well for pushing sand that's escaped back into line, as well as spreading glue! The Sand Shaker itself is a plastic rectangle which has a fasten shut lid and internal moulding to hold your paper in place and allow the sand to flow freely over the top. The sand is fine and really brightly coloured with very little dust. There are 5 colours, and 4 lidded pots, which slot tightly into the corners of the Sand Shaker and turn to close and open. 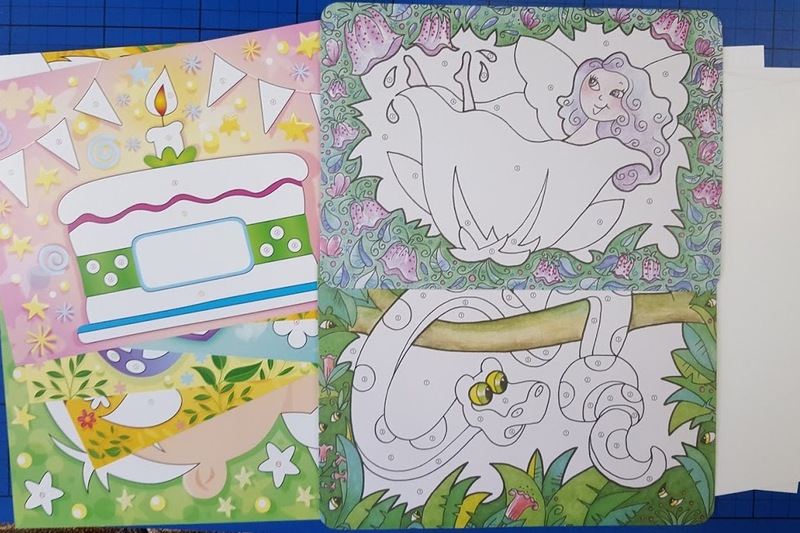 Included in the set are lots of different pictures to create, including some part coloured cards, pre-glued cards and plain card. The pictures are pretty good, nicely drawn and modern, and vary in difficulty as your child becomes more expert. 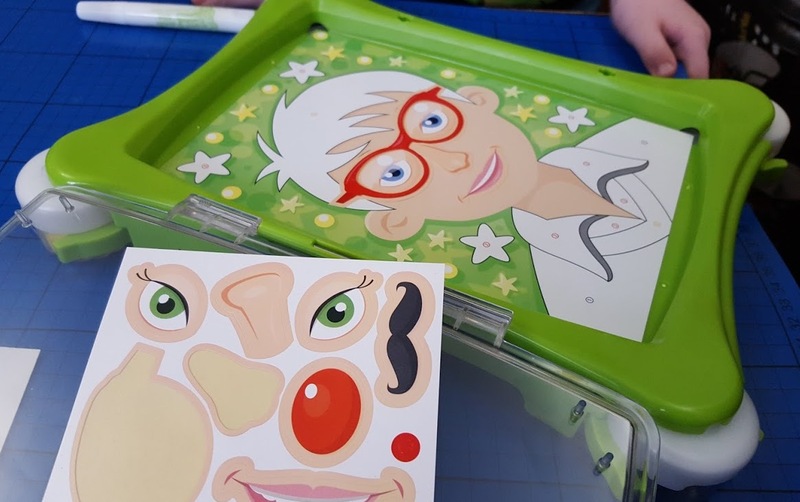 There is also a sheet of stickers with facial features. These work really well and my son enjoyed creating his characters, and then decorating them with the sand. 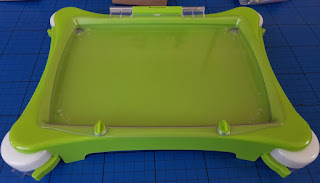 Gluing is a bit tricky, but brilliant for fine motor skills and encouraging creativity. The sand sticks well, and we found we didn't have too many gaps or places where colours mixed together or overlapped. 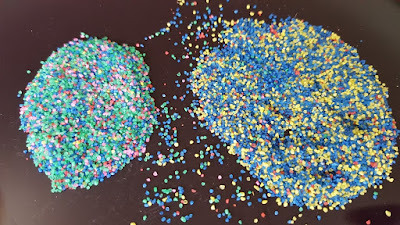 Release one colour of sand into the shaker at a time by turning the pot to open, and then shake. After making 5 pictures we do have a little bit of mixed sand which has fallen onto the table or mixed within the Sand Shaker frame, but it's a tiny quantity, and actually still very pretty - and usable. 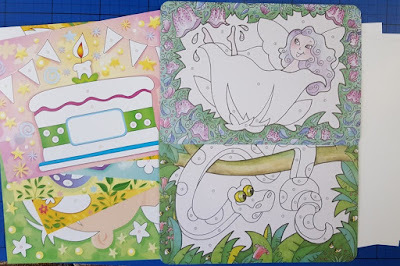 The stickered cards are in many ways the most fun, and it only takes 5 to 10 minutes to create an entire picture. 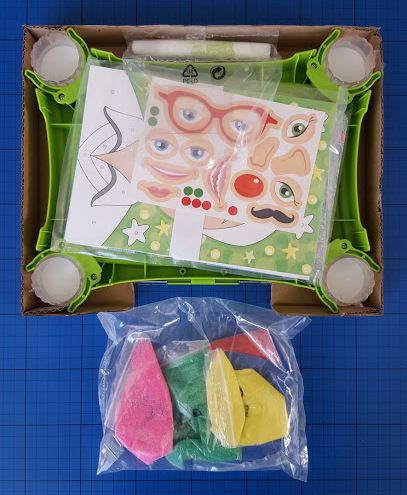 The stickered parts are numbered, and by revealing all of the stickers with the same number you can cover all of the blue in one go, then red, then green etc. 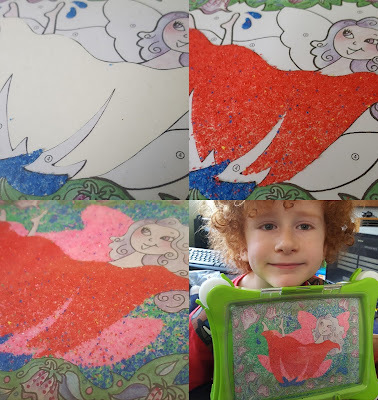 We actually used the mixed sand left over from the previous pictures we'd made as the background colour to our picture. 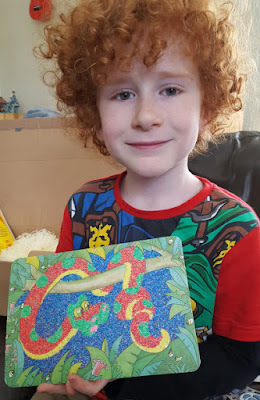 The snake is tricky because a few of the stickers are very tiny, but it still works really well as the sand is so fine, and sticks so well, that you can have quite delicate detail. It's our favourite and my 7 year old made it by himself and is very proud of this one. The MyArts Sand Shaker is recommended for children 5+ and I think that's right. 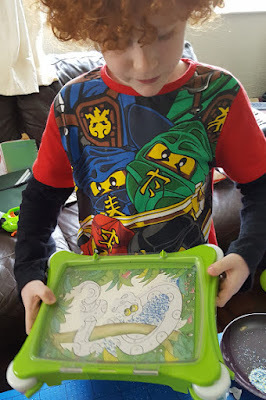 My 6 year old is quite rough and wouldn't get on with it, but a calmer, gentler child like my 7 year old would be able to get the hang of this at 5. 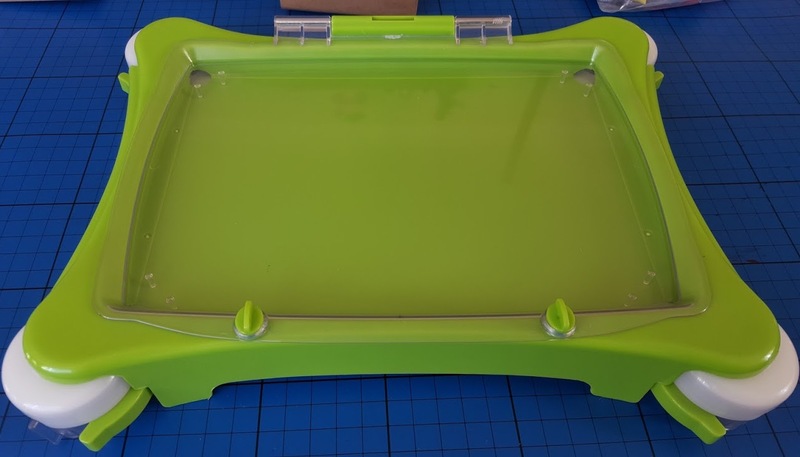 Some of the stickers are a bit tricky to remove, especially very thin ones, and my son got frustrated when he knocked off some sand, but I showed him how to cheat and use a careful pinch of sand to fix the damage. Once he mastered that he was more confident with the gluing, which is obviously more tricky. 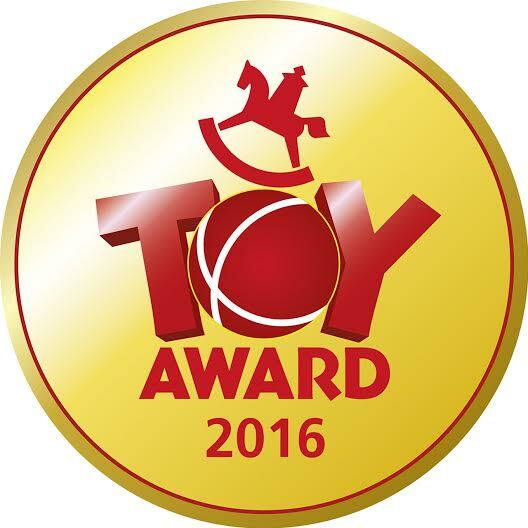 The award winning Revell MyArts Sand Shaker is available from all good toy shops. For more information take a look at the Revell website. 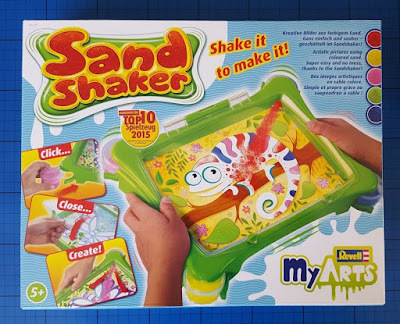 We were sent our MyArts Sand shaker for review.